Does your website require a dedicated server? Running and maintaining a server can be pretty challenging and expensive. You do not necessarily need to own and run your own server. Dedicated server hosting is a reliable web hosting service for businesses and individuals who require a dedicated server without the rigors and complexities of running, securing, and maintaining the server. Dedicated Server hosting also offer a more flexible payment plan for the server and the server resources. With dedicated server hosting you rent a server rather than by outright. This saves a lot of upfront cost that you could focus on building a successful business. Sometimes it is necessary to have your application run on a dedicated server. There are a number of situations where this may be necessary. One key scenario is if you want to run some special programme not supported by web hosting companies. Another could be if your application requires above par security. Dedicating a server to your application increases security since weak security links are minimised. A dedicated server may also be favoured if your application is resource critical. You do not want to share server resources with other businesses as their performance can negatively affect the performance of your application. In general a dedicated server offers more control over your application. You do not need to bend to whatever a web hosting company offers. 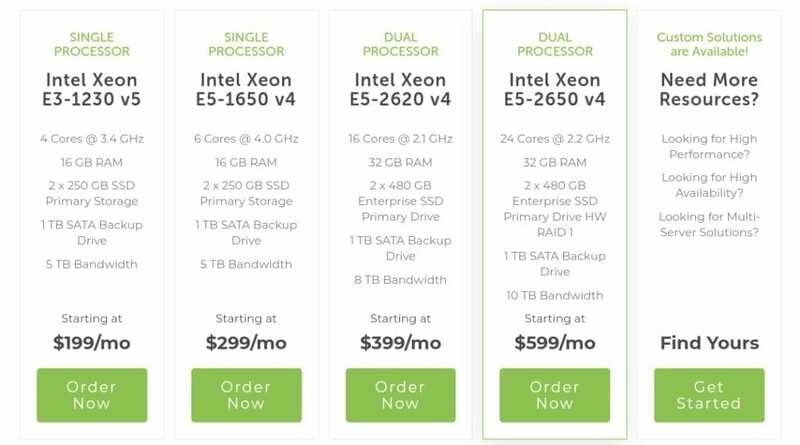 If you need a dedicated server, you may decide to buy your own server, but this is an expensive option and may be even an unnecessary route. Owning, running, and maintaining a server is an expensive business. First, you need to buy the server for over 350,000 Naira (over $900), then you need backup power as the server has to be always on, you also need people working on shift to manage and maintain the server. Plus, there are other technicalities to deal with. Going for dedicated server hosting is the way to go. With dedicated server hosting, you still enjoy all the benefits of having your own dedicated server but without the cost, stress, and complexity. You also gain from the experience of the web hosting company. Dedicated server hosting is more like server renting. You do not pay outright for the server and you don’t own the server. You just pay a certain amount monthly to have full control of a server with set server resources. You can choose the processor, RAM capacity, OS, storage, bandwidth, and the speed you want. 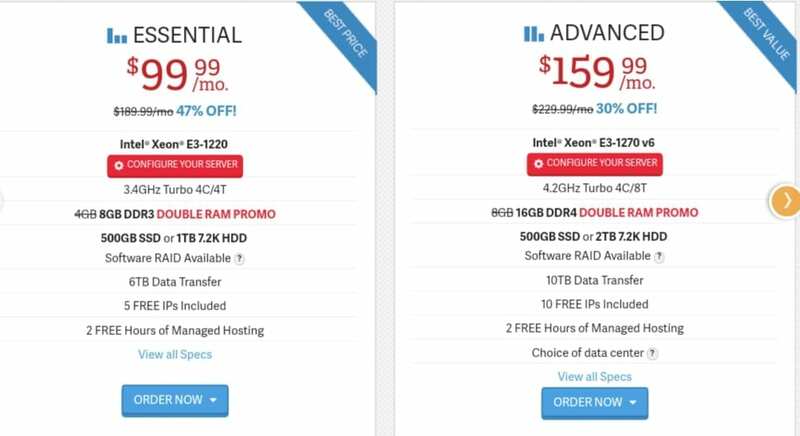 For example Liquid Web’s entry level dedicated server hosting package offers you a powerful 3.4GHz quad-core Intel Xeon processor, 16GB RAM, 500GB SDD, and 5 Terabyte bandwidth transfer at a cost of $199.99 per month. You can choose between CentOS Linux, Ubuntu, CloudLinux, and Windows. You can even any OS for that matter. Of course, there is a dedicated server plan for every need. And you can add server resources as your needs grow. For details, Click Here. You can load any software you want on your server as long the OS supports it and your server meets the minimum hardware requirement. Dedicated server hosting offers you a flexible solution to running your website on a dedicated server. Liquid Web remains one of the best service provider out there. Liquid web has a range of dedicated server hosting plan to lease for your business(es): from the basic single processor server with 4 cores, to the ultra-fast dual processor server with 24 cores. Liquid Web is one of the Best Dedicated Server Hosting providers with plans starting at $199 per month and climbs up to $599 for the highest plan. Liquid Web offers their dedicated servers as fully managed, core managed, or self-managed depending on the level of control you want to have on the server. 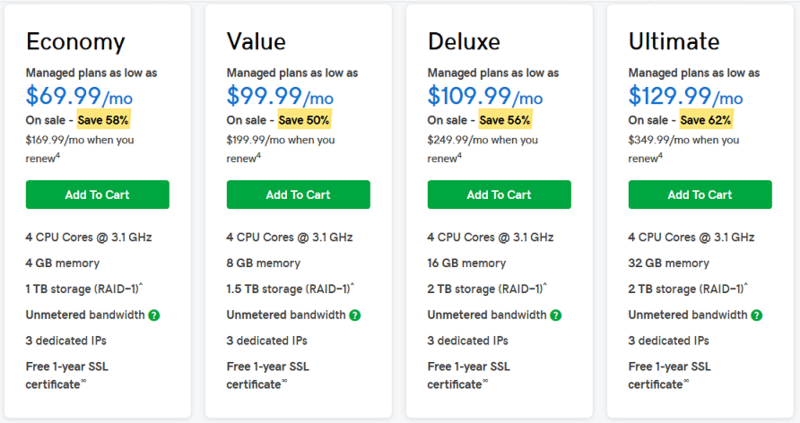 For new customers, GoDaddy’s dedicated server hosting cost about $69.99 every month and will cost $169 per month when you renew your plan. The starter plan offers you a 3.1GHz quad-core processor, 4GB RAM, and 3 dedicated IP addresses. For details of pricing and plans, Click Here. The dedicated server hosting companies provided above will no doubt serve you well if you live in Nigeria. However, you may prefer to do business with a Nigeria-based business. 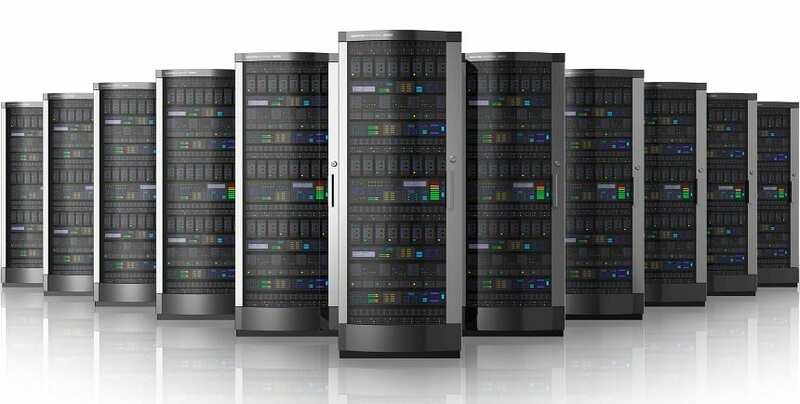 Here are some of the best Dedicated server hosting providers in Nigeria. Some of these services have datacentres in Nigeria and in Africa countries like South Africa and Ghana.